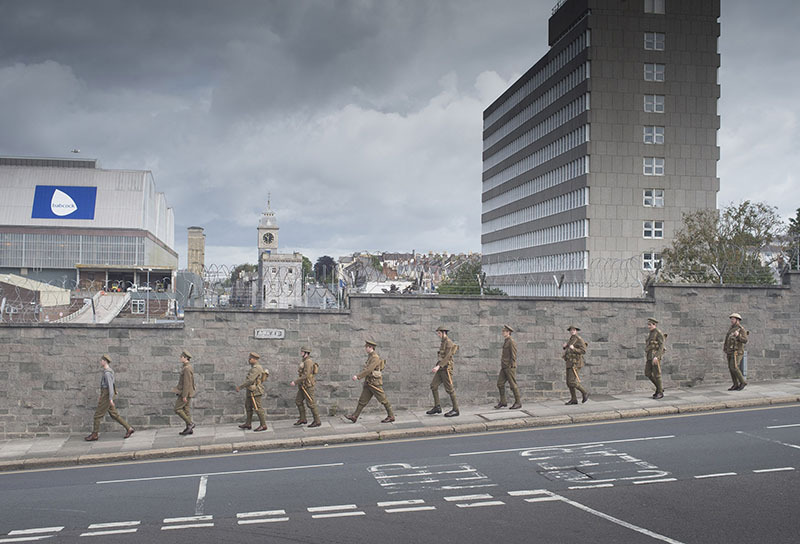 Theatre Royal Plymouth led around 100 volunteers on Fri 1st July as part of a modern memorial for those fallen on the first day of the Battle of the Somme. 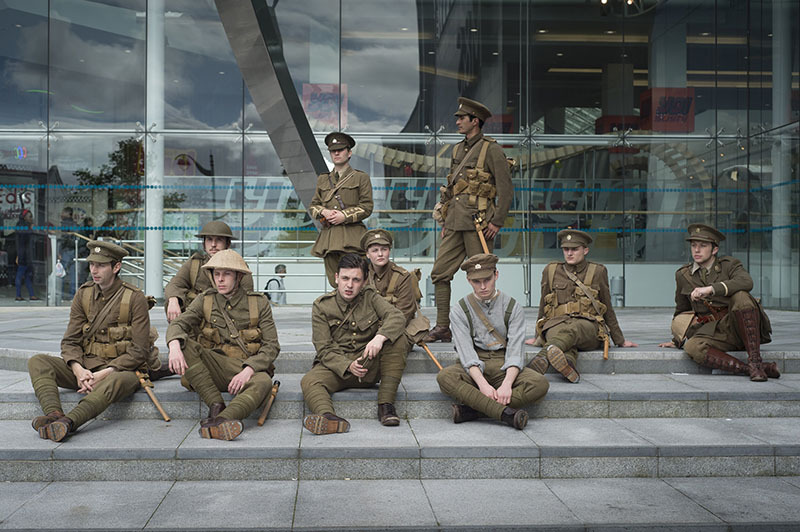 Amy Fisher, producer on this project for Theatre Royal Plymouth tells us more about how volunteers were recruited for a secret project and the level of detail that went into planning the event. “We started recruiting participants from April this year holding open sessions to get people to sign up without being able to tell them what exactly the project was going to be. We recruited groups through schools, colleges and even reached out to our corporate sponsors to hold recruitment sessions in their offices. We had participants from a range of backgrounds, the majority of whom had never performed before, including 2 groups of male employees from law firms Bond Dickenson and Foot Anstey who joined the project together. The project rehearsed on weekends in secret at Marjons campus where participants rehearsed in full costume to get used to the uniforms. Participants were trusted to keep the project completely secret until the end of the day on Friday 1st July. 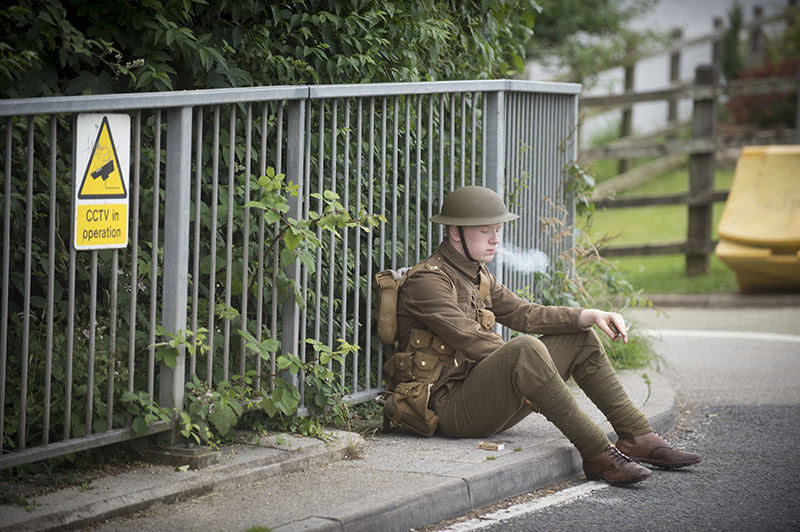 On the centenary of the Battle of the Somme the participants arrived at 6.30am to get into full costume tying their own putty’s, which they had learnt how to do in rehearsals. 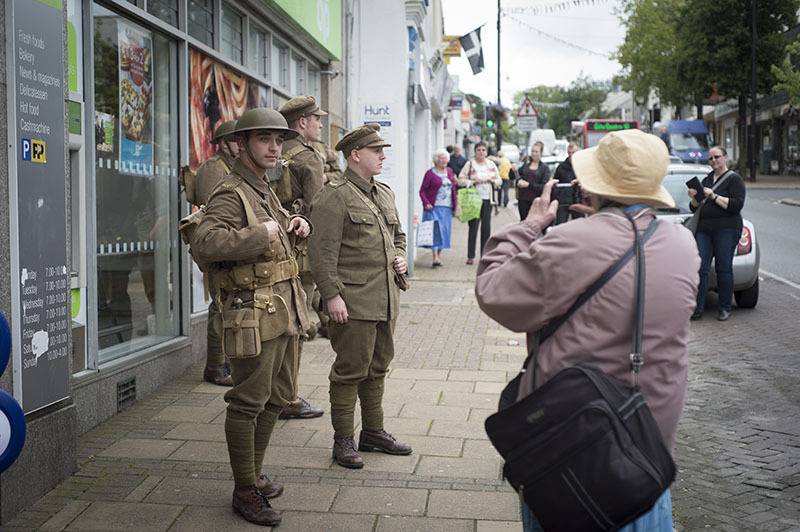 Historical accuracy was a huge part of the impact of the project and participants had to have their haircut, beards shaved and tattoos covered to represent the WW1 soldiers. They carried props such as tobacco tins, cigarettes, matches as well as a traditional packed lunch. 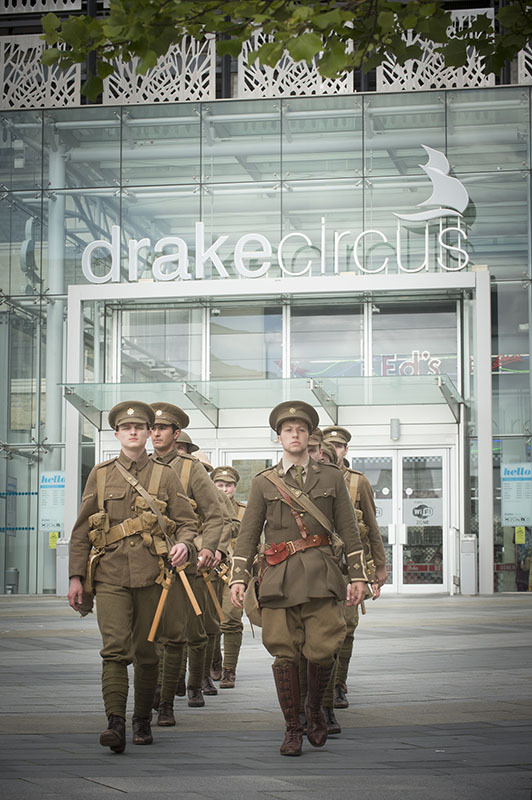 The performance started at two central points in Plymouth, the train station and the town centre. From here the two groups split into six and started their journeys in different directions across the city. 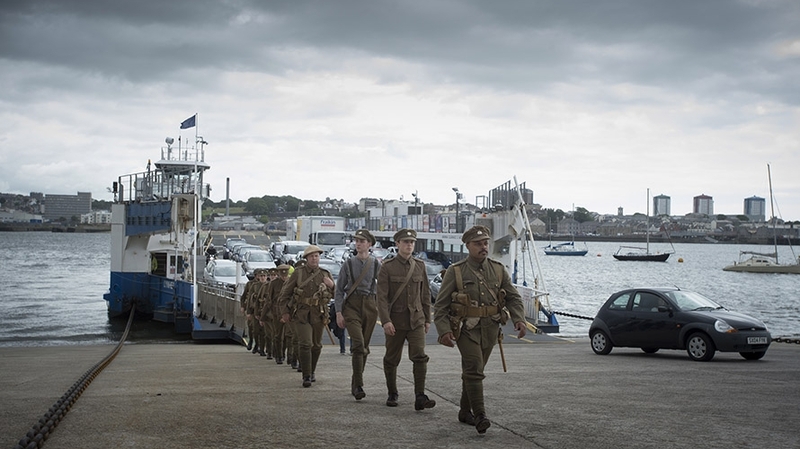 They crossed on the Cremyll and Torpoint ferry, marched up Mutley plain, ventured across the Tamar Bridge, visiting the iconic landmarks of Plymouth as they went. The 12 hour durational performance culminated in a moving convergence at 6pm at the Sun Dial in Plymouth city centre as all of the participants came together as one group, for the first and last time that day, to walk together before finishing by singing ‘we’re here because we’re here’.